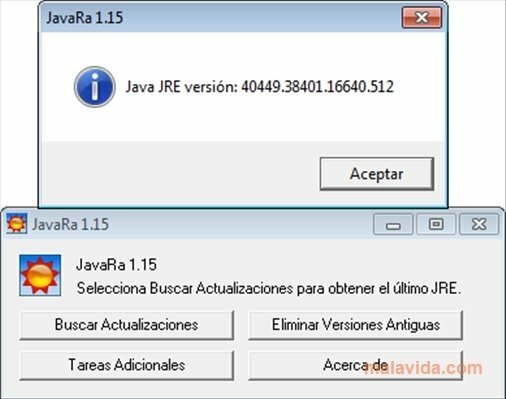 JavaRa performs a really simple but useful task: it eliminates from our computer the old and duplicated versions of Java Runtime Environment (JRE). 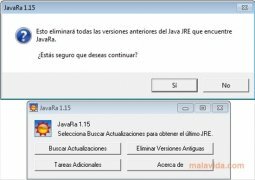 Nowadays, the Java software is essential to browse the Internet and to use applications that are based on that platform. But each time that this software is updated, that older versions stay on our system, occupying space on our hard drive. 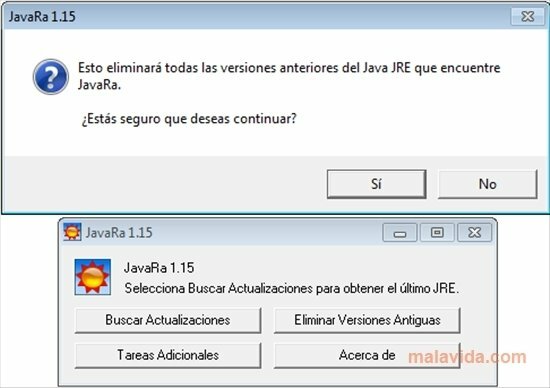 From the program's main window we can search for the latest Java updates, delete old versions, and access the configuration of additional tasks. 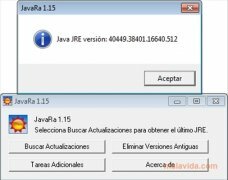 These tasks are: to remove useless files from the JRE, eliminate the system startup entry, that uses unnecessary resources, eliminate the download manager by the Java company or check for the latest version of Java. 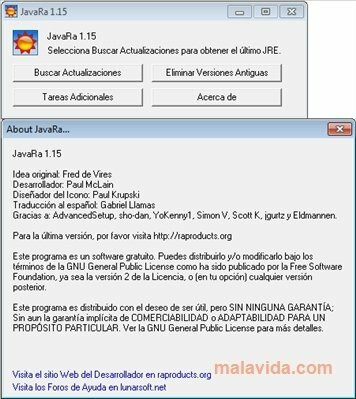 JavaRa helps us to install the latest version of Java with only a couple of actions, and to eliminate those old files that are unnecessary to obtain the best performance from our computer. In other words, a really useful tool.